I love the subject of transportation. I've always been particularly fascinated with airlines, but my curiosity has included trains and ocean liners. In the U.S., we do not depend on rail travel as the rest of the developed (and non) countries around the world. In fact, the fascist trump proposed a budget proposal that eliminates Amtrak's longer routes. So much for his discussion while a candidate to build and improve the U.S. infrastructure. Since a kid, I have lamented that railroad was rather an obsolete and rare form of travel in this declining country. On a more positive note, there was an article in today's Daily Mail Online (3/21/17) that was very exciting developments in both the US are happening today regarding the advancement and deployment of train travel. Shame on our government. It looks like the US government, in the near future, will no longer be the leading driver of developing infrastructure and technology in any way. If this is true, then the US is no longer the greatest country. This article was an update on the previously announcement that a new high-speed product which is being developed by the maverick, Elon Musk. The fast train is expected to travel at the speed of 760 miles per hour. 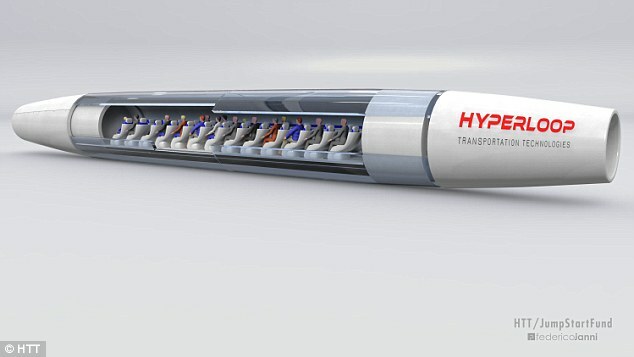 This article talks about the development of the first passenger capsule pod of the "Hyperloop" system, as it has been named. The first test prototype of the pod is currently being built. In addition, there is a "1.8 mile (3 km) full-scale and full speed enclosed prototype is taking shape in the desert in North Las Vegas in Nevada – and the company is expected to perform a public trial in the first half of 2017." This technology miracle of train traveling train Pod vehicles "will carry a total of 164,000 passengers daily, departing every 40 seconds." There are a number of routes that have been proposed for implementation of the Hyperloop, including LA-Las Vegas, SFO-Las Vegas, and in the middle east to Dubai, and other routes. It is such a tragedy that our current country doesn't appear to care about technology and infrastructure development. These are the investments that made us a great country through the last century. In my opinion, this is creating a decline of America as a world power. I don't know if I will live to see this amazing technology come to fruition. I do know that the current US administration and legislation will do nothing to encourage technology. Horray for Elon Musk and the other mavericks out there that are moving the world forward. Shame on our government. Mark, would love to talk to you about the DDOW Society and Bigelow photos. Please contact me at ginapetrone@gmail.com. Thanks!